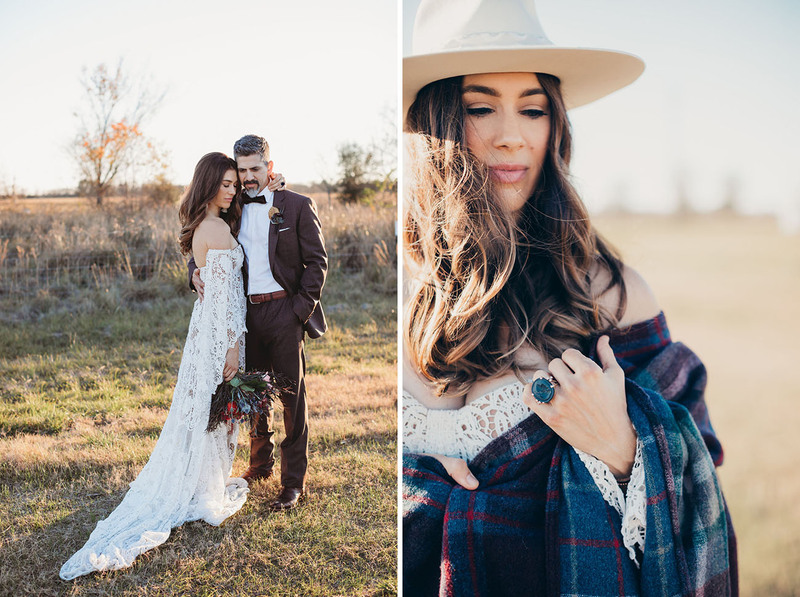 It’s Texas meets the Scottish Highlands in this wintry boho inspired shoot! 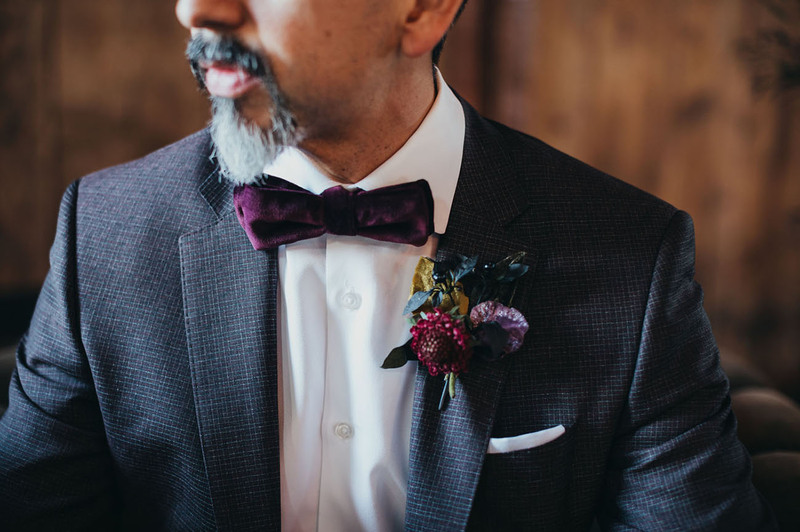 Casie of Thistle Wynd Productions imagined a glamorous highland fling with a bit of Ralph Lauren-style mixed in—calling on colors reminiscent of Scottish textiles like cranberry, plum, fig, and gray with brass details to tell the rich story. 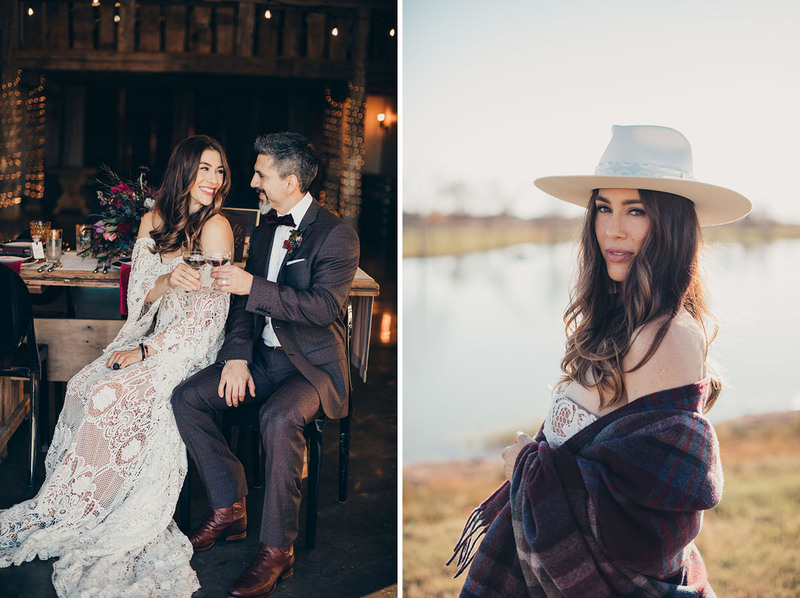 They chose their setting, Beckendorff Farms, for its deeply rooted history in the Houston community. Casie tells us that the barn is a marvel of dedication and preservation that was resurrected by the Beckendorff Family. We love that! 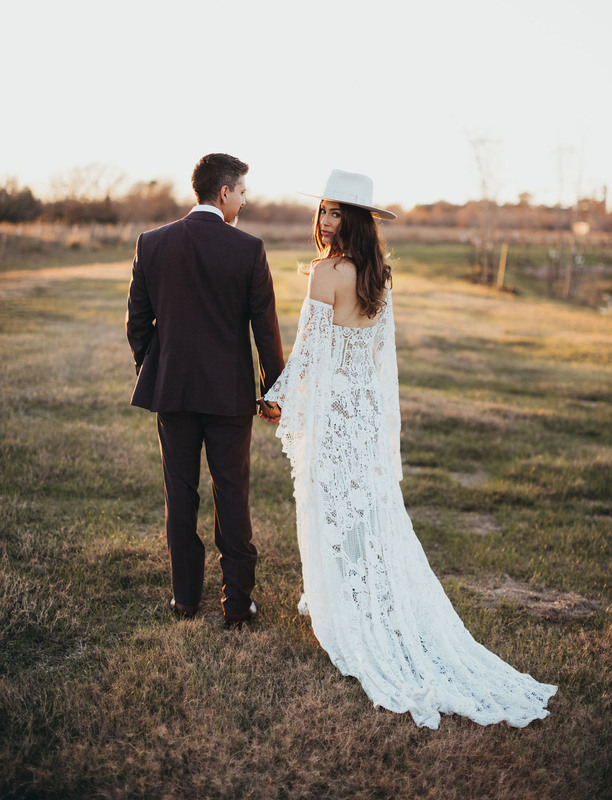 With Chris Stapleton on the radio, Sarah at The Silhouette Studio captured the folky romance of the day. Let’s have a look! 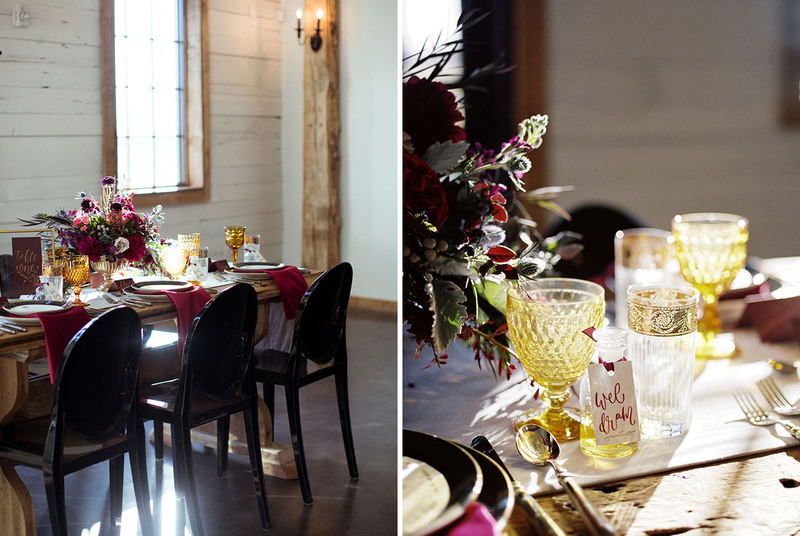 Casie tells us: Whenever I get the chance to work with Hey Bernadette Design & Calligraphy, I jump. She is such an artist with a true creative spirit. 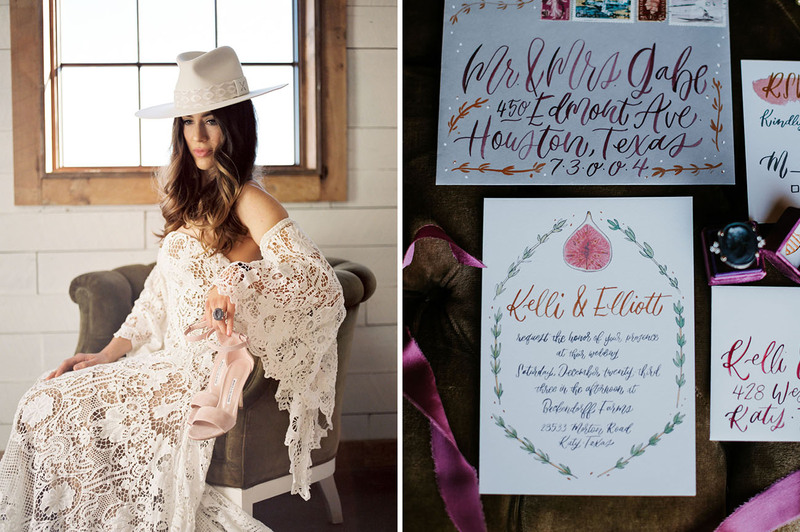 Her invitation suite is one that I would want to receive in the mail! 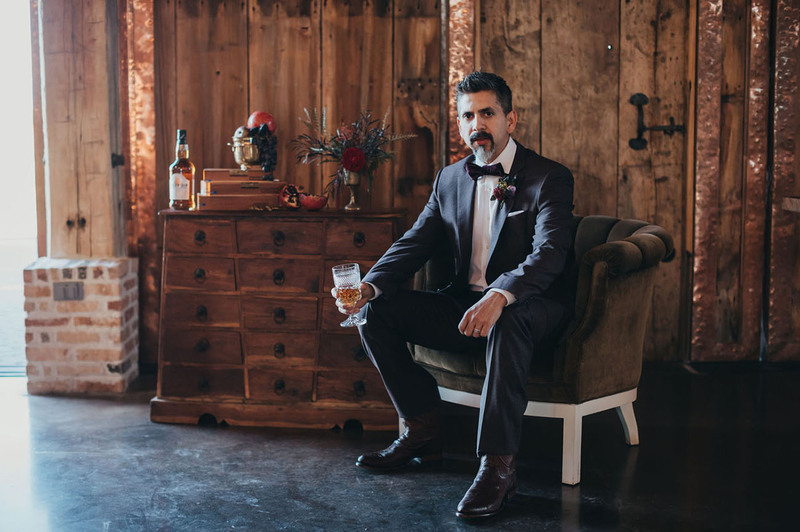 The groom wore boots and a belt from Tecovas, a local Austin staple. His suit is Hugo Boss and his bow tie from Eton. Beckendorff Farms installed a large swing that is often used for photo booth backdrops. 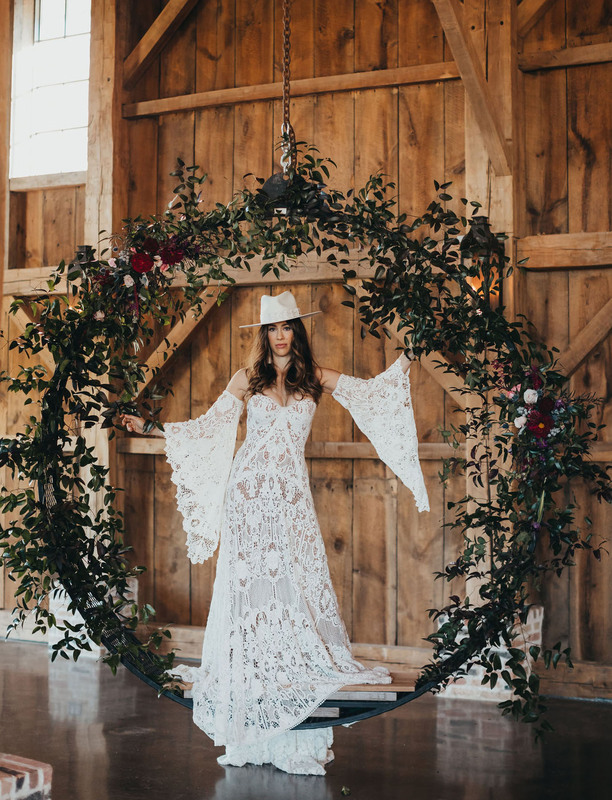 Striking Stems added smilax and beautiful florals to make it a swing of dreams. Oliver & Penelope Vintage Rentals and Aztec Events & Tents came through with the beautiful tabletop and furniture rentals. 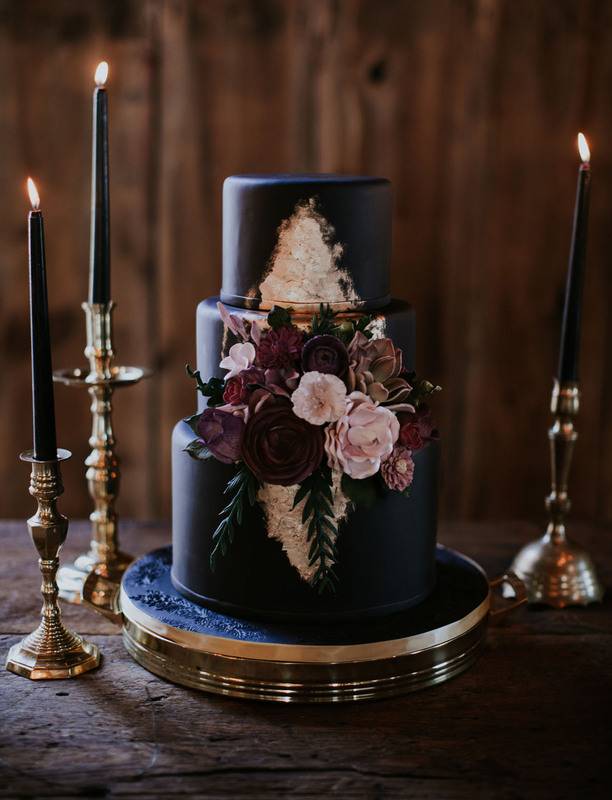 The black cake with sugar flowers + gold foil is from Cakes by Gina. Loving matte black cakes lately! 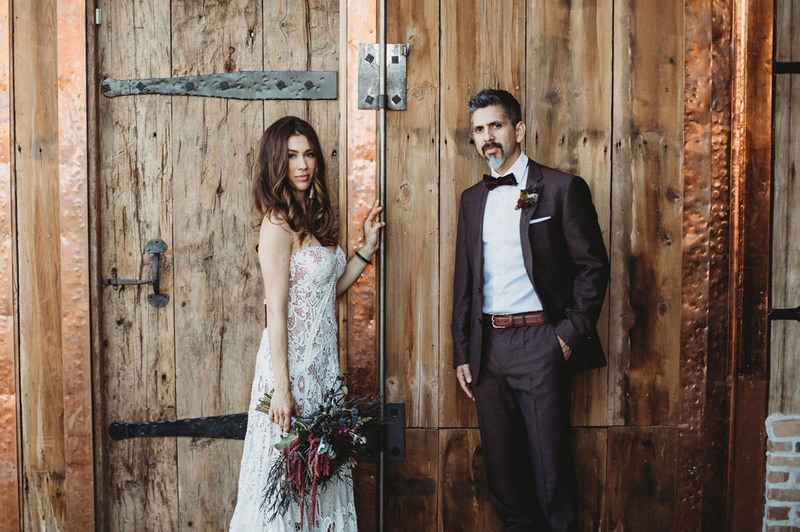 The dress is Beau by Rue De Seine, pulled from Unbridaled. 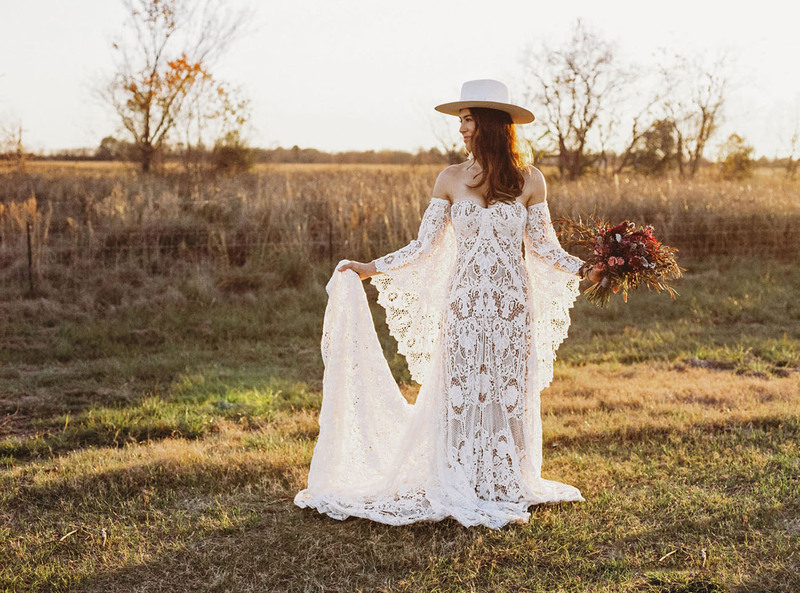 Beau features major boho fun with those removable sleeves! And didn’t we tell you bridal hats where a thing?! 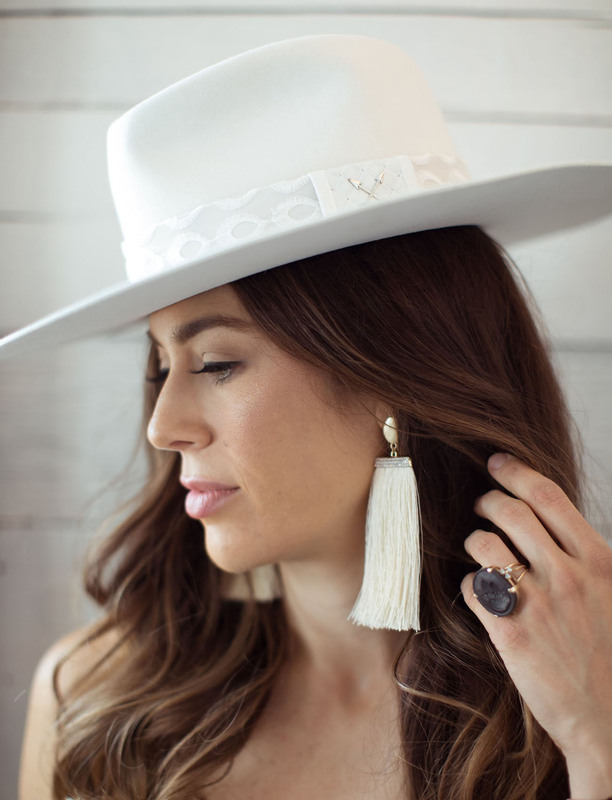 This one by The Wise Hatter is a modern take on the western/Calvary hat. 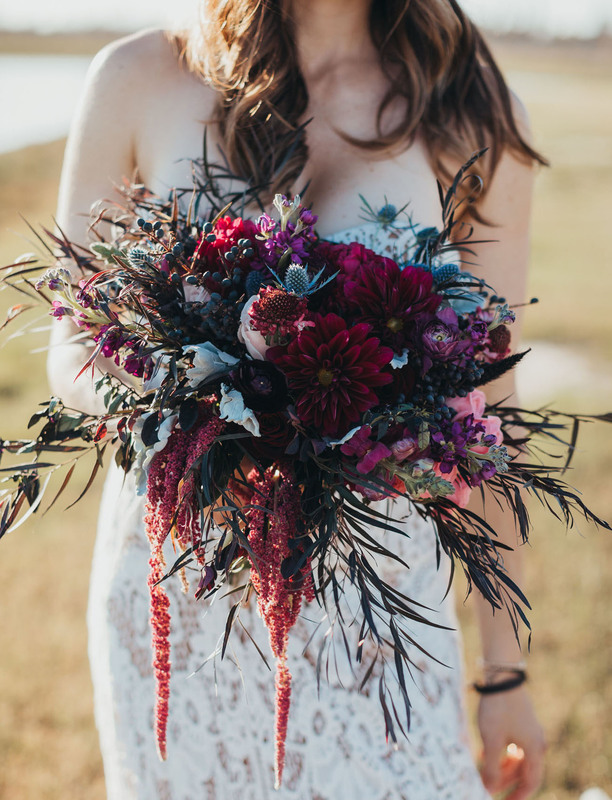 The bouquet by Striking Stems a wild + organic and just stunning! Kelli’s hair and makeup were done by Hey Lovely. The direction was California cool: loose, long, beachy waves with soft makeup, and a beautiful strong brow. And the bride’s wedding ring is a rare, black wedgwood with diamonds, a family heirloom from a close friend. 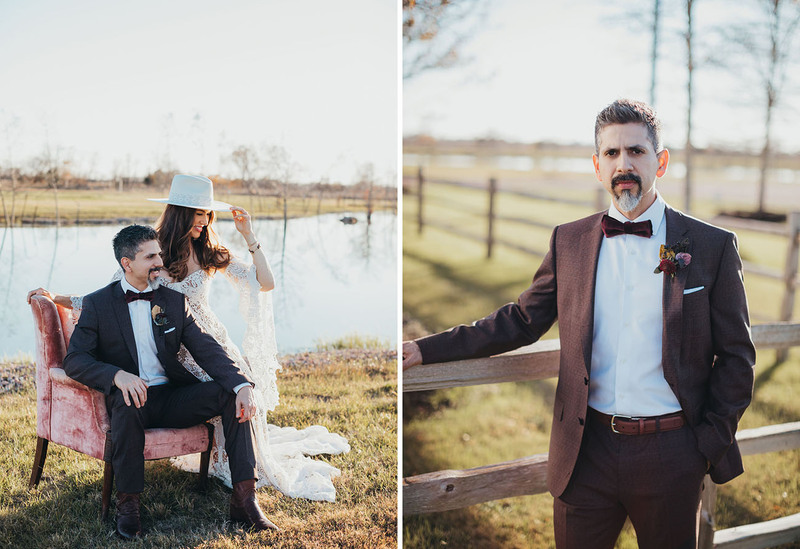 That perfect golden hour shot…just loving this inspiration! Thanks to the entire talented team for sharing your creative vision with us!